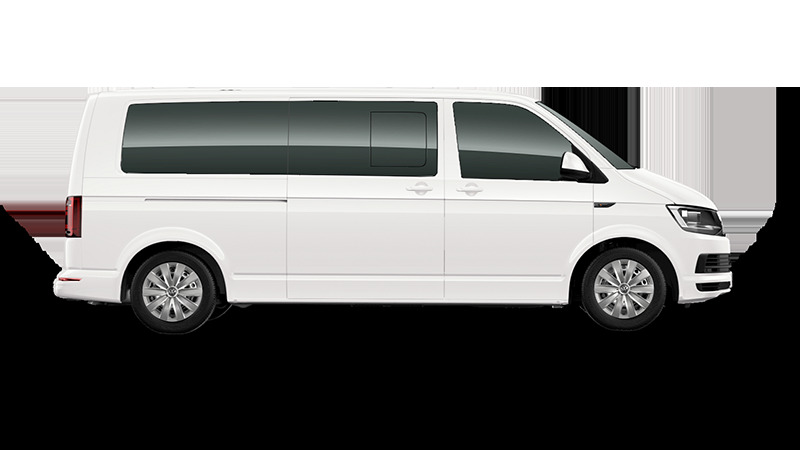 Shuttle up to nine people in this super practical people mover. The modular system enables seats to be easily repositioned. The double-folding 3-seater bench is especially handy and can be removed to expand the luggage space in a matter of moments. The top tether anchor points as well as ISOFIX anchor points on all second and third row seats make it ideal for those with large families or businesses needing to transfer lots of people safely. The Caravelle has been carefully designed for the wear and tear of daily use. Whether you plan to use it for business or the bustling pressures of modern family life, the many smart compartments and holders, along with the arrangement of the various storage options make this the vehicle for you. 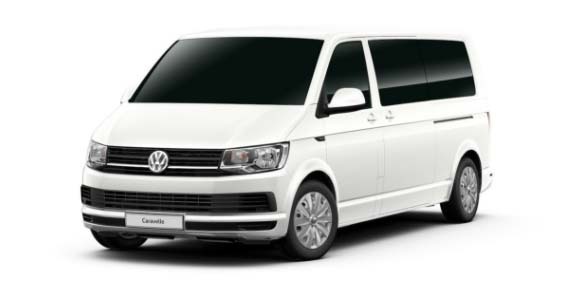 The Caravelle has the smarts to rival its capacity, boasting the latest technology to make every trip. The standard rear view camera displays a live picture on your console screen that shows what's behind you. The Park Distance Control feature beeps when obstacles are detected behind you when you're parking, as well as provides a visual display of the vehicle's distance from said obstacles. They come together to help make reversing safer and easier. The 7-speed dual clutch DSG permits fully automatic, almost imperceptible gear changing with no interruption in power flow, which results in significantly increased driving comfort as well as better fuel consumption than changing gears manually. You can choose between Normal and Sport mode.